Hosting a summer party? Sangria is the easiest summer cocktail to make that is best made ahead of time for easy party set up. Having white and red sangria will ensure that every guest is happy! Sangria is by far the best summer weather cocktail to make for large get-togethers and summer barbecues. It can and should be made ahead of time, has tons of delicious fruit flavors and is enjoyed by all. It's best to keep wines under $10 for sangria recipes since the wine will be mixed with other ingredients, focusing on the overall taste. There is no reason to break the bank on expensive wine! I use a Spanish tempranillo red wine and a Spanish white wine. Inexpensive wine is fine and the way to go! Sangria can be made with red or white wine. Let sangria sit in fridge for at least three hours. Use different types of carbonated soda water to fit your taste. Freeze all types of fruits for fun edibles! 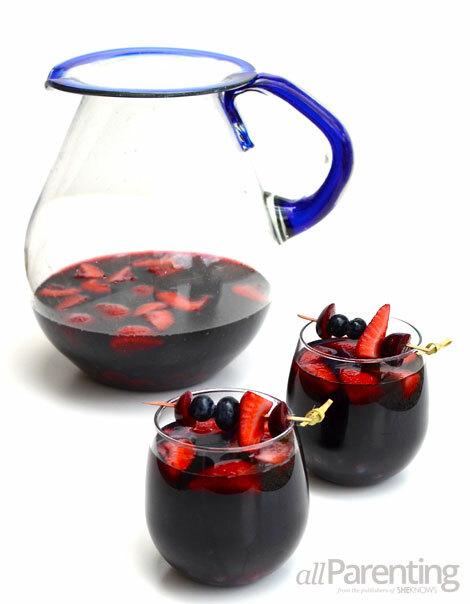 In a large pitcher, combine wine, pomegranate juice, cranberry juice, brandy, cherries, strawberries and blueberries. Refrigerate for at least 1 to 2 hours — more time is even better! If desired, right before serving, add can of flavored citrus water. 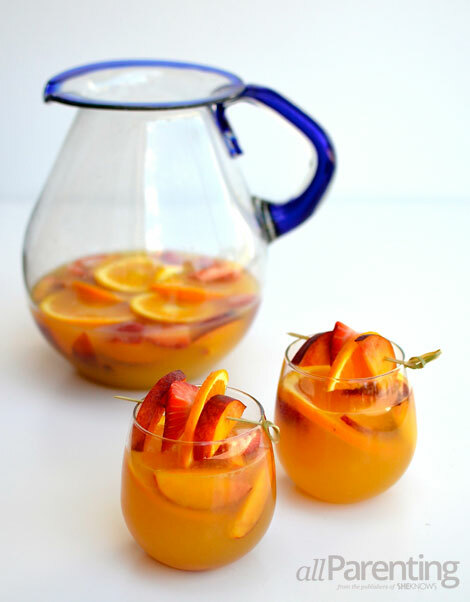 In a large pitcher, combine wine, orange/peach/mango juice, brandy, orange slices, peaches and strawberries. Refrigerate for at least 1 to 2 hours — more time is even better!